Very few beauty brands or products have survived the test of time and become staples in everybody’s bathroom. 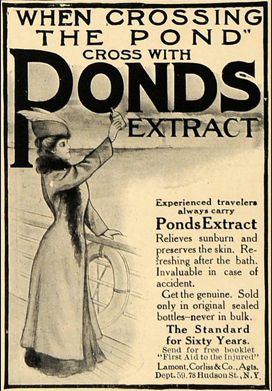 One of such brands is Pond’s, which for over a century has been caring for skin of all ages. And because it’s so hydrating, it has a big following amongst performers – such as Kylie Minogue who loves to use it daily. 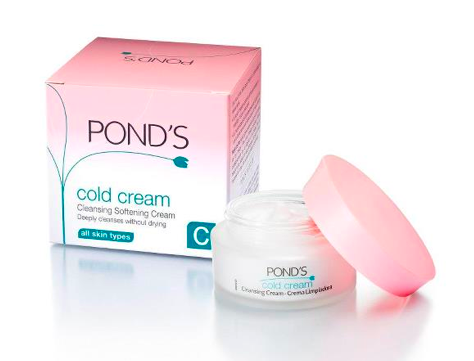 To celebrate their success, Pond’s is rebranding to Pond’s Institute and relaunching their entire range and packaging whilst retaining all the original formulas. The collection consists of: Pond’s Institute Cold Cream Cleanser (£4.07); Pond’s Institute Eye Contour (£7.99) to improve structure and hydration around the eye area; Pond’s Institute Hydro-Nourishing Cream (£4.07) with hydro elastine and vitamin E for normal to dry skin; Pond’s Institute Nourishing Anti-Wrinkle SPF 15 (£4.07) containing white tea extract and vitamin B3 for dry skin; and Pond’s Institute Triple Action Moisturiser (£5.10) with soy and glycolic acid to tone and firm mature skin. Perhaps the best known in the range is their cold cream, which can act as a hydrating cleanser or as a mask that you can leave on –whilst taking a bath for instance. You can wipe it off with cotton wool or rinse it off with warm water. The smell is glorious and the texture is highly hydrating. It’s one of those products that once you start using you can never go back, and because it’s so reasonably priced you really don’t need to. The new range in available now. For more information go to Pondsinstitute.co.uk. This entry was posted in Make Up, Skincare and tagged Cold Cream, Pond's, Pond's Institute, timeless. Bookmark the permalink.